Kevin Ownby is the Director of Bands and Percussion Specialist at Oak Mountain High School. Prior to becoming Director of Bands in 2012, he was the Associate Director of Bands and Percussion Specialist for 8 years. His responsibilities as Director of Bands include design and instruction of the marching band show, as well as conducting the Wind Ensemble, Jazz A, and Percussion Ensemble. All of these groups have consistently received superior ratings at various contests and festivals. In the fall of 2007, the Percussion Ensemble performed a showcase concert at the Percussive Arts Society International Convention. In 2016, the Oak Mountain Wind Ensemble was selected as a “Featured Ensemble” at the Music for All National Band Festival and will be performing at the Alabama Music Educators Association Conference in January 2017. Mr. Ownby is a graduate of Austin High School in Decatur, AL. He graduated from Samford University with a Bachelors degree in Music Education and from the University of Colorado at Boulder with a Masters degree in Percussion Performance. Mr. Ownby is a member of the ABA, NAfME, and the Percussive Arts Society. 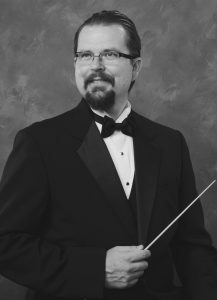 He has also served as Principal Timpanist for the Greeley Philharmonic Orchestra and Percussionist for Boulder Philharmonic Orchestra. Mr. Ownby began his mentorship under Jim Duren, founding director of Oak Mountain High School Bands, in 1997 when he provided percussion instruction for the Pelham High School Marching Band. He is blessed to have Mr. Duren in his life as a mentor and close friend. Mr. Ownby and his wife Laura met in middle school band. They have four daughters: Kayla Ellen, twins Leigha Claire and Kara Elise, and Livia Beckett. They are active members of Hunter Street Baptist Church and feel as though God has called their family to the mission and ministry of education. 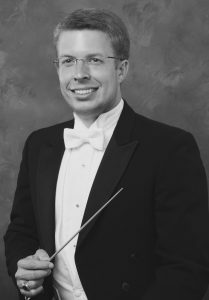 Dr. Travis Bender is the Fine Arts Department Chair and Associate Director of Bands at Oak Mountain High School. Prior to joining the OMHS faculty, he served as Director of Bands at Liberty Park Middle School, where he was named “Teacher of the Year” in 2011. His duties at OMHS include teaching the Symphonic Band, Jazz Band B, Marching Band, Chamber Music, and Band Techniques. Dr. Bender is a graduate of the University of Alabama, where he received his Bachelors and Masters degrees in music education. While attending UA, he served as a drum major of the “Million Dollar Band” and as conductor of The Tuscaloosa Winds, a community band for the western Alabama region. In addition to his conducting capacities, Dr. Bender also performed extensively as the pianist for the Alabama Wind Ensemble for six years and as trombonist for the Symphonic Band and various pep bands. 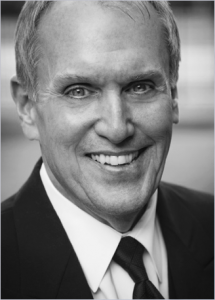 His professional affiliations include NAfME, ABA, NBA, and the music honorary, Pi Kappa Lambda. Under his leadership, Dr. Bender’s bands have received only superior ratings at contests or festivals. In January 2012, his Liberty Park Symphonic Band was invited to perform at the Alabama Music Educators’ Conference in Montgomery. He will also conduct the Oak Mountain Symphonic Band at the 2019 AMEA Conference in Birmingham, Alabama. In addition to music instruction, Dr. Bender has a strong interest in student and teacher leadership. He holds a second Masters degree, an Educational Specialist degree, and a doctorate of education in Educational Leadership from Samford University. Besides teaching, Dr. Bender is also interested in technology, home improvement projects, and pinball machines. He currently resides in Birmingham, Alabama with his wife, Krista, a fifth grade teacher at Oak Mountain Intermediate School. They have one precious daughter, Madison, a lovable Sheltie named Haley, and a lazy cat named Prince. Mr. Jim Duren was the Director of Bands at Oak Mountain High School from its opening in the fall of 1999 through the end of the 2011-2012 school year. He is thrilled to be returning to the Oak Mountain Band staff for the 2015-2016 school year. Prior to coming to Oak Mountain, Mr. Duren was Director of Bands at Mountain Brook Jr. High (1973-1978), Mountain Brook High School (1978-1987) and then Pelham High School (1987 – 1999). During his 39 year career, Mr. Duren’s bands have performed throughout the southeastern and midwestern united states, The Bahamas, Toronto Canada and two performances at Carnegie Hall in New York. Mr. Duren is a graduate of Gordo High School in Pickens County. He received his Bachelor’s degree from the University of Alabama. While at the University, he was a member and student conductor of the “Million Dollar Band,” Principal Trombonist in the Symphonic Band, Bass Trombonist with the Brass Ensemble, Trombone Choir, University Symphony Orchestra, and the Jazz Ensemble. Mr. Duren is a member of the Alabama Music Educators Hall of Fame, Alabama Bandmasters Association (ABA), National Association for Music Education (NAfME), National Band Association, and Phi Beta Mu. In 1996 he was awarded the “John Philip Sousa Legion of Honor Award.” In 1999 he was named “Honorary Conductor” of the University of Alabama Wind Ensemble and in 2011 was awarded the “Outstanding Band Director or the Year” award for the state of Alabama by the Rho chapter of Phi Beta Mu Band Director’s fraternity as well as being named “Outstanding Alumni” at the University of Alabama in 2011. He is a 2015 inductee into the Alabama Music Educators Hall of Fame. Mr Duren is married to Sharon Lamberth Duren they have one son Jason and daughter in law Bashan. Jason is a salesman for Gadsden Music company. The Durens are members of Hunter Street Baptist Church. Heather Holmes joined the Oak Mountain Middle School staff in 2006 as assistant band and choir director. In 2012, Mrs. Holmes was appointed Director of Bands for Oak Mountain Middle School. Mrs. Holmes teaches the Advanced Band, Symphonic Band, Concert Band, and Beginning Band. Since coming to OMMS, the band program has grown to over 300 students. Prior to OMMS, Mrs. Holmes taught at her alma mater, Brooks High School, for 5 years, where she was responsible for Beginner Band, Concert Band, Marching Band, and Jazz Band. She received her Bachelor of Science Degree in Music Education from the University of Alabama in 2001. While at Alabama, Mrs. Holmes played trombone in the Million Dollar Band and the Alabama Wind Ensemble. She served on the Million Dollar Band “Band Staff” for two years and was trombone section leader her senior year. Her bands have consistently been recognized for superior ratings at the state and national level. In 2015, the OMMS Advanced Band was invited to perform as a guest ensemble at the University of Alabama Middle School Honor Band. The Advanced Band was also invited to perform at the Alabama Music Educators Annual In-Service conference in 2017. 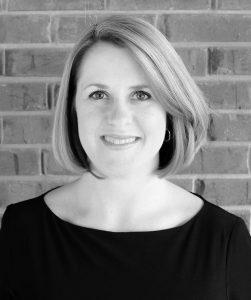 Her professional affiliations include Alabama Music Educators Association, Alabama Bandmasters Association, NAfME, and Sigma Alpha Iota. She also serves as Secretary for the Shelby County Band Directors Association. Aside from teaching at OMMS, Mrs. Holmes sings with the Praise Team and the Celebration Choir at First Baptist Church in Pelham. She resides in Birmingham with her husband Jason and children, Ella and William. Brenton Nash is a new member of the music department staff at Oak Mountain Middle School this year. He will serve as Assistant Band and Choir Director, teaching both instrumental and vocal classes. Mr. Nash earned his Bachelor of Science Degree in Music Education from the University of Alabama. He played lead trombone and was a vocal soloist in the Million Dollar Band and was a four-year member of the University Jazz Ensemble. He also performed with the Symphonic Band and the Trombone Choir. While in college, Mr. Nash served as the Alabama Music Educators Association Collegiate Division Secretary and Treasurer. He was also Music Director for the Omicron Phi Chapter of Phi Mu Alpha at the University of Alabama. With a music career that began in elementary school, he has traveled extensively with instrumental and vocal performance groups. He has been an instructor for music and marching technique with multiple high school marching band programs and has also taught private lessons on trombone and piano. He participated in Drum Corps International and marched with both the Blue Knights of Denver, Colorado and the Bluecoats of Canton, Ohio. He was a member of the 2016 DCI World Champion Bluecoats where he played trombone, baritone, and euphonium and earned the honor of 2016 Brass Rookie of the Year. Since aging out, he has worked on staff with Music City Drum and Bugle Corps of Nashville, Tennessee in both visual and brass captions. Mr. Nash lives in Birmingham and attends Dawson Memorial Baptist Church.